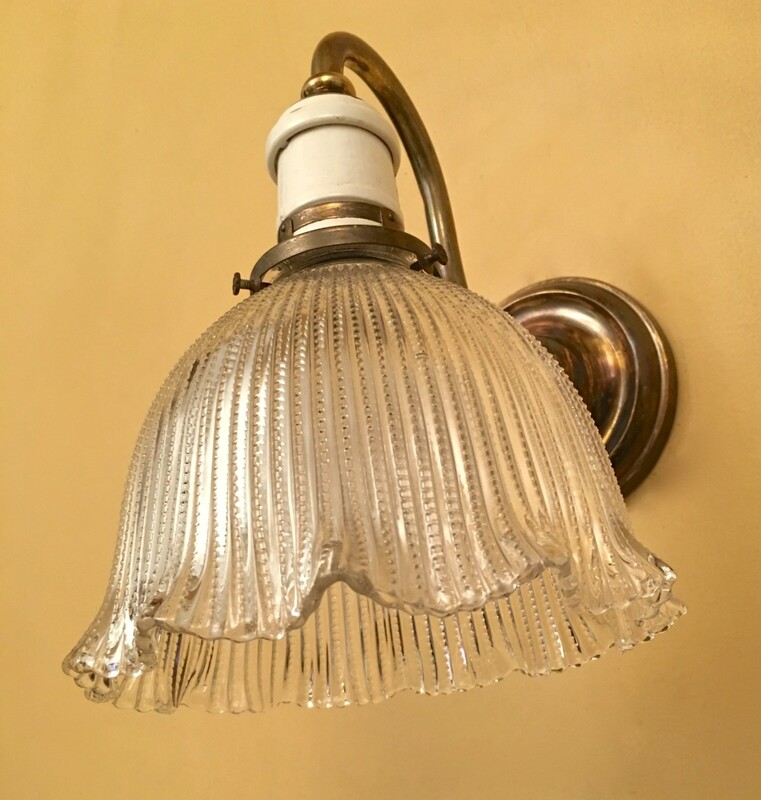 I found a pair of really rare circa-1910 Early Electric sconces! The shade are unmarked by are likely by Holophane. I love love love the porcelain sockets! The sconces would be great in a kitchen or bathroom. 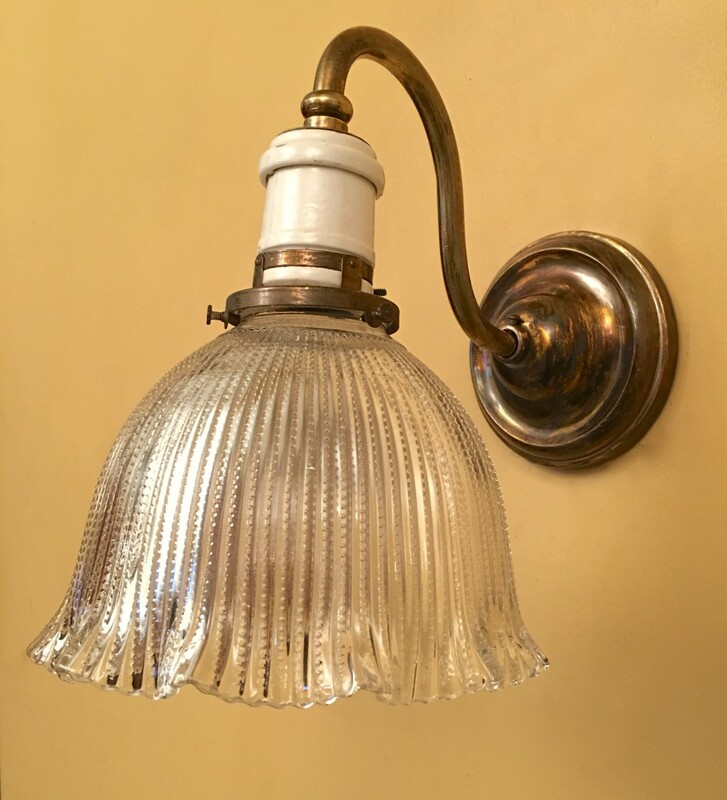 2 Responses to Early Electric Sconces! 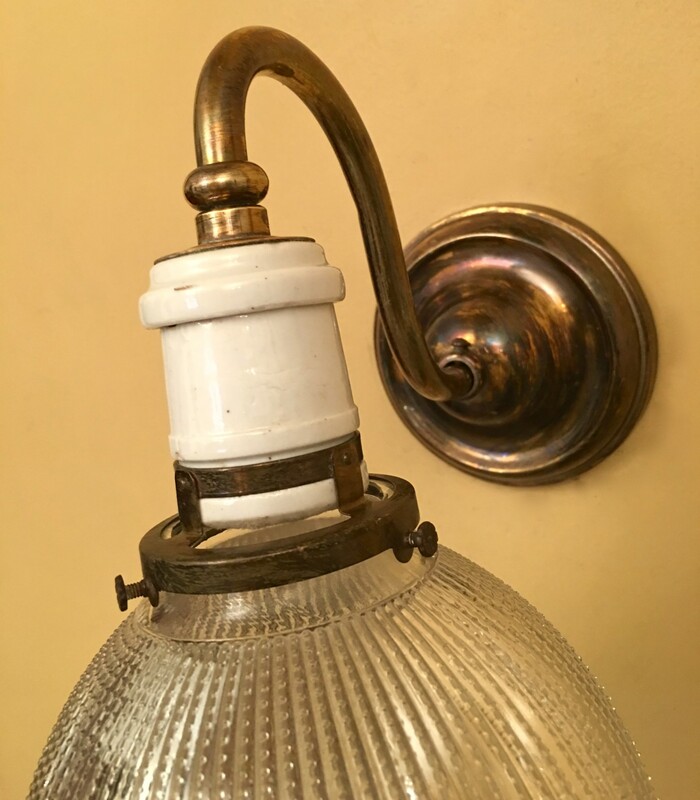 These are similar to two extant sconces in our 1913 home, except ours have brass sockets. I have not seen porcelain sockets in a sconce like this before. Very neat! So yesterday I was siting in a café wondering if you would like the fixture they have. It was quite large and had 16 arms, shades, bulbs, etc. Did not have a camera with me.